Early Booking Discount for Puglia, Italy 2018. Don’t miss this Mediterranean journey of a lifetime! Authentic is a word that’s often tossed around, sometimes indiscriminately, to describe a persons character or to judge a piece of craftsmanship. But when it comes to travel, it’s the new buzz word and it’s something very real that travelers seek. Gone are the days of pre-formulated travel and well trodden paths – globe trotters want to feel connected to the lands they visit on every plane – emotionally, spiritually and physically. Having traveled all over Italy, I would say unequivocally that Puglia, the heel of Italy, is one of the most splendid regions, definitely one of the most authentic in southern Italy, and perhaps the world. That’s because it encompasses a multitude of friendly faces, captivating countrysides, beautiful beaches, old cities and local food that provide the foundation for the alluring life in Puglia. Puglia is the epitome of slow food and zero kilometer living. The authenticity makes you wonder how long life in this part of southern Italy will stay just as it is. Food is religion and the culture dictates eating fresh pasta everyday–1 to 2 cups cooked! Pasta is made with semolina flour and water, a 2:1 ratio. One must visit Bari, the capital of Puglia, to tour the old medieval city of Bari Vecchia, where grandmas (nonnas) sit outside their homes and behind wooden worktables dusted with semolina flour, making pasta to sell for 5 euros per kilo. If you happen to get 1, 3 or 5-gigante orecchiette thrown in to the mix, then you’re lucky! It’s an art that hopefully will not be lost. Italian coffee (caffé) is a form of art with a specific coffee drink for every time of the day. Caffé corretto is thrown back like a shot. Cappuccino and brioche are for breakfast. You’ll never find a Starbucks here. 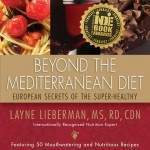 Almond milk is local and the Mediterranean diet is alive and well. California Zinfandel (red wine) is thought to be a replica of Puglia’s Primitivo, both derived from an ancient Croatian grape variety. There are multi-generational family farms (masserias) producing olives, grapes, almonds, cherries, apricots, plums, peaches, hand harvested wheat, fava beans, chicory, tomatoes, fennel, onions, figs, lemons, limes, dates, herbs, pomegranates and so on. More than any other region in Italy, Puglia is the real deal, a groundswell of authenticity that must be visited first hand. Once again, I have teamed up with Puglia’s premier touring company, Southern Visions. This seven day customized culinary and cultural journey is a trip of a lifetime. Your authentic experience begins in Ostuni at the Ostuni Palace, a newly renovated property with gorgeous views towards the historical center against the backdrop of the Adriatic sea with groves of ancient olive trees between the town and sea. This four star hotel is the perfect place to start exploring Ostuni, ‘la citta bianca’, and the surrounding places in the Itria Valley. There is also a small Spa at the hotel if you want to indulge in a massage or treatment. You’ll move on to one of the most beautiful Masserias in the region, a meticulously restored farmhouse known for its organic, local and biodiverse crops, which are used daily in the kitchen. The last 2 nights are at a 5-star hotel in Lecce, known as “The Florence of the South”. Over seven magical days, you’ll learn the art of pasta making from real nonnas, the local ladies that teach better than any toqued chef, sip olive oil as if it were a fine wine, learn to make cheese on an authentic masseria (farm) and learn so much more from renowned cooks and experts of the region. 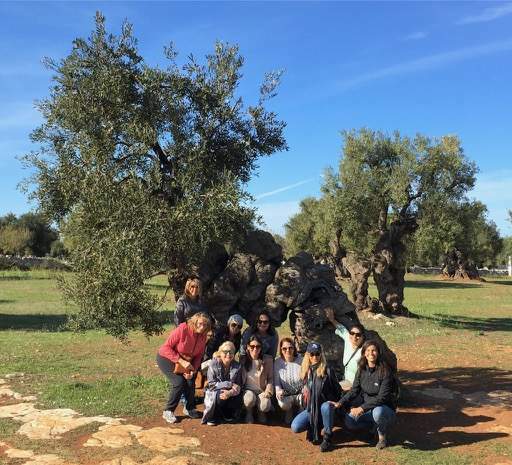 Coupled with all the culinary experiences including real farm to table meals, is the opportunity to live among the people of Puglia and spend time with them visiting their world renowned UNESCO sites and be privy to events that are normally closed to the public. Join Southern Visions Travel and me in Puglia, Italy this fall 2018. This trip offers 30 continuing education units from CDR of the Academy of Nutrition and Dietetics. For further information, itinerary, testimonials and details visit: www.WorldRD.com/puglia-2018. 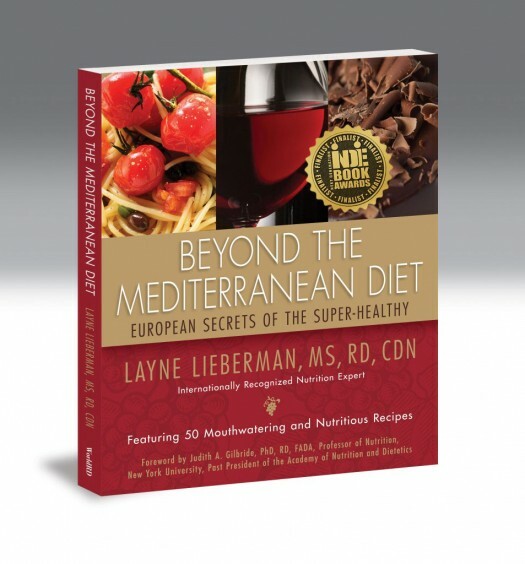 Hosted and accompanied by an award-winning registered dietitian and culinary nutritionist, Layne Lieberman, MS, RD, CDN. All in-country lodging, travel and tours researched and curated by Layne Lieberman and Southern Visions Travel, a luxury, Puglia-based culinary travel company owned and operated by local regional specialists. Conducted in collaboration with top local chefs, organic and biodynamic farmers, DOP bread makers, artisanal cheese-makers, and a renowned Italian nutritionist. Lodging has been carefully chosen for the highest standards so that you will enjoy a Mediterranean palace experience, luxury accommodations in an ancient city and a magical retreat on an organic farm dedicated to indigenous produce grown on the estate. 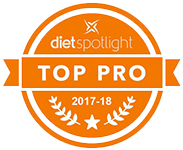 All registered dietitian nutritionists, culinary professionals and friends are welcome to register and are accepted on a first come first serve basis. Maximum number of attendees: 16. Book by May 1st, 2018 for a $200 per person Early Booking Discount!